Here are the leading coal producing states. There are four basic types of coal: Lignite, subbituminous, bituminous and anthracite. Coal is mined in 26 States. 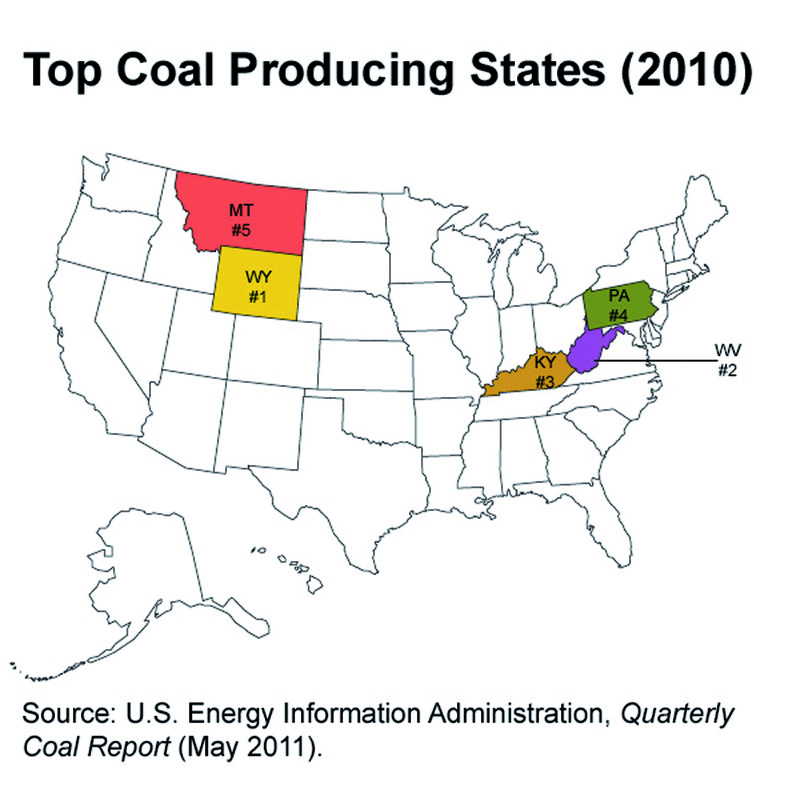 Wyoming mines the most coal, followed by West Virginia, Kentucky, Pennsylvania, and Texas. Coal is mainly found in three large regions, the Appalachian Coal Region, the Interior Coal Region, and Western Coal Region (includes the PowderRiver Basin). Coal continues to play an important role in supplying the energy needs of the United States and, more than any other domestic fuel resource, helps to assure this country’s energy independence by providing a reliable, domestic source for electricity generation and industrial consumption of energy. Coal is America’s most abundant fuel resource and it is provided to the market by a highly-trained and specialized workforce. Coal mining in the United States is also heavily regulated by mature environmental regulatory programs, including a specific federal statute directed specifically at coal mining. West Virginia is the nation’s second largest coal producing state. Coal mining operations in West Virginia produced over 135 million tons of coal last year, down from a recent high of 165 million tons in 2008. West Virginia coal is used extensively by domestic utility companies to produce electricity. Metallurgical coal mined in West Virginia represents some of the highest quality coal found anywhere in the world, and both domestic and international steel companies rely on this coal to produce coke for use in the iron making process. 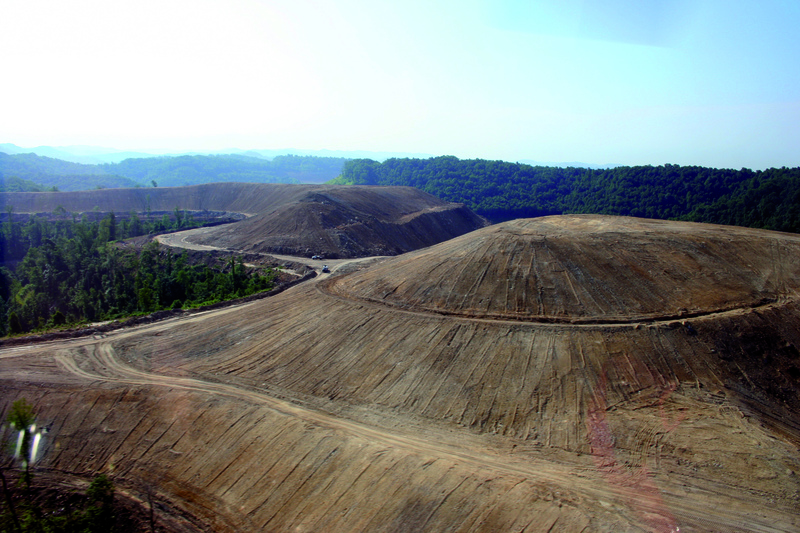 Coal extraction in West Virginia is accomplished generally by underground or surface mining. Both methods of coal extraction require the placement of fill structures, commonly referred to as “valley fills”, acknowledging the steeply-sloped terrain that exists in West Virginia, within CWA section 404 jurisdictional waters. Construction of these valley fills necessitates section 404 authorization from the Corps of Engineers (Corps). 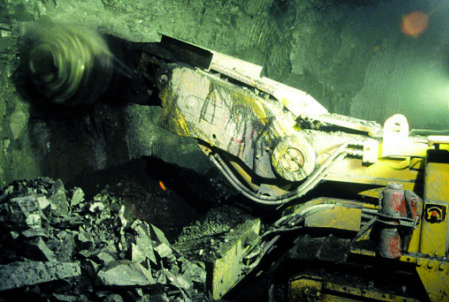 A continuous miner in operation underground. Underground mining techniques, which account for the majority of West Virginia’s coal production, utilize machinery to drive tunnels under the surface of the land. These tunnels are situated in coal seams so as the machinery advances further underground, coal is removed. Using a combined system of vehicle haulage and conveyor belts, the coal extracted from the seam is transported to the surface. Underground mining is practical from engineering and safety standpoint for coal seams that are located more than 100 feet below the surface of the land. Underground mining in shallower coal reserves will often encounter mine roof integrity problems as the geology and overburden at such shallow depths is less consolidated and more susceptible to cracking and failure (roof falls) than the strata above deeper coal seams. Underground mines are usually characterized by the way the coal seam is accessed from the surface and the underground extraction method used to mine the coal. The method for accessing a coal seam for underground extraction is largely dependent on its vertical position relative to the surface. 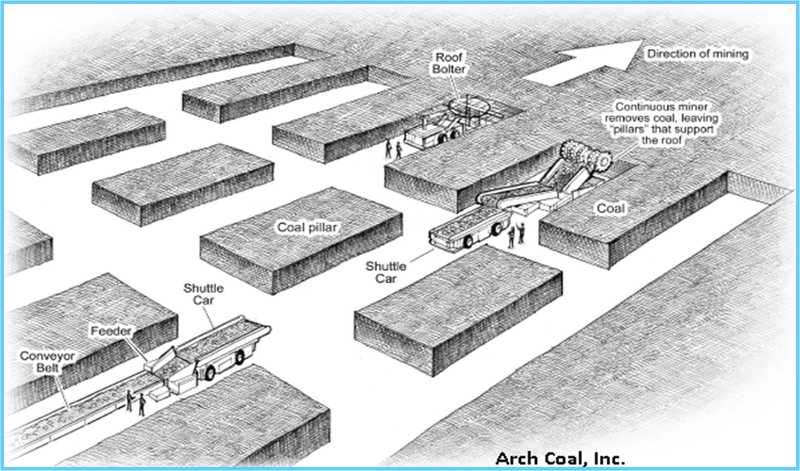 An individual underground mine may have more than one of these access methods, depending on the characteristics of the individual coal seam, the coal haulage system used at the mine, the ventilation, roof control and safety plans for the mine and the mine’s supply and employee transport considerations. Underground mining coal extraction methods can generally be divided into two categories: room and pillar mines and longwall mines. The type of extraction practiced is dictated by the characteristics of the coal seam and its related geology. Generally, longwall mining is restricted to seams with uniform geology and coal seam thickness while room and pillar mining is more adaptable to seams with varying thickness, uniformity and geologic settings. Room and pillar mining is defined by the fact that portions of the coal seam being extracted are left in place to support the roof of the mine. Room and pillar mines are developed by using machinery to extract the coal seam in a grid like pattern through the development of a parallel series of extraction areas referred to as entries. The entries are connected together by extracting the coal perpendicular to the parallel entries in crosscuts. To support the coal extraction areas in the entries and crosscuts, roof support is installed by using machines to install long “bolts” into the roof of the mining area to consolidate and “tighten” the overlying rock strata. Referred to as “roof bolting”, this is the central point of a mine’s roof control plan that is developed by safety regulatory agencies and the operator to assure a maximum amount of safety by minimizing the possible occurrence of roof fractures and slips or roof falls. Coal extracted from the entry and crosscut areas or “working faces” of the room and pillar mine is loaded onto special underground rubber tired haulage vehicles called shuttle cars. The shuttle cars move the coal from the working face to a centrally-located conveyor belt loading point where the coal is unloaded and transported to the surface for processing at the coal preparation plant. Some mines use shuttle cars to move the extracted coal to a loading point where it is transferred to narrow gauge railroad cars for movement to the surface. In slope and shaft mines there may also be a third transfer point where the coal from the working face is transferred again from the conveyor belt or rail car to an elevator-like haulage system where the coal is lifted vertically to the preparation plant. The initial development of a room and pillar mine, where entries and crosscuts are driven in the coal seam is referred to as primary extraction. Mines using primary extraction only can usually recover 40 to 60 percent of the coal in a given seam and reserve. Depending on the characteristics of the coal reserve, its overlying strata or roof and its underlying strata or floor, secondary production may be possible in room and pillar mines. In secondary production, some of the coal pillars that were established by the entries and crosscuts and were left in place for added roof control are removed. Extraction of the coal in the pillars, if possible at all, is governed by roof control and safety conditions as extraction of the pillars usually results in some level of roof collapse. Where it can be practiced secondary extraction is designed to remove the coal resource in the pillars in a calculated and designed fashion to allow for controlled roof collapse that will not endanger the safety of coal miners or compromise the overall geologic integrity of the entire mine. Where it is possible, secondary extraction can allow for recovery of 70 to 80 percent of the coal in a given coal seam. 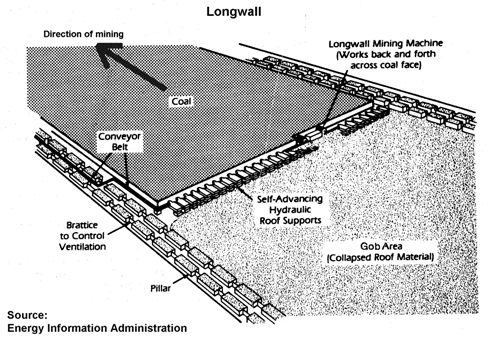 The other major form of underground coal extraction is longwall mining. In longwall mines, equipment used in Room and Pillar mining is used to develop two or three parallel entries in a coal seam. The longwall mine entries or headings are usually separated by several hundred feet of solid coal. At a certain distance advancing into the coal seam (depending on mine-specific geology), the headings are connected by driving a crosscuts, or in longwall mines, cross headings to connect the entries to form a block of solid coal called a panel. Specialized equipment, known as longwall machines, that are usually custom-built for specific mines then begin extracting the coal along the face of the panel. These machines include a shear or plow device mounted on a track that moves back and forth across the panel cutting the coal with each pass of the machine, referred to as the cutting head. As the cutting head extracts the panel of coal, the longwall machine advances further into the coal seam extracting more of the seam as it advances through successive passes across the panel, allowing for recovery of up to 85 percent of a given coal seam and reserve. The cutting head is attached to a special type of armored conveyor that gathers the coal as it is cut by the head and moves it to a loading point where it is transferred to the main haulage system for movement to the surface and the coal preparation plant. Both the cutting head and the special conveyor are protected by a special form of hydraulic roof support devices known as shields. The shields support the roof immediately above the longwall machine and are designed to advance as the cutting head moves deeper into the coal reserve keeping the roof support parallel to coal face. This is what the media always shows you — current surface mining operations — but they never show you the whole story. “Mountaintop mining” is simply coal mining that occurs at or near the topmost portion of a mountain. There have been various emotional statements in the press about this form of mining that are neither based on fact nor supported by the truth. Surface mining methods are essentially the same as highway construction. Valley fills are areas where the rock and dirt from mining excavation is placed according to a plan designed by engineers and approved by government agencies. The fills usually occur in dry stream beds of what are known as ephemeral or intermittent streams – streams that flow only when it rains. This is what the media and radicals call a “valley” fill — as you can see it is not in a valley floor. No streams or rivers are covered up and destroyed. This fills are at or near the tops of the mountain ridges, in small defiles where water only runs during rainfall or snow melt. Even then, as you can see, new stream channels are put in place that often improve water flow and quality on the site. Contrary to what is portrayed in the press, the amount of actual stream loss from fills is minimal. In other words, where most valley fills are placed, there is no actual stream. Far from the destructiveness portrayed in the mass media, mining operations have actually helped improve habitat for wildlife in Appalachia. Today, we are once again seeing elk and wild horses on former mountaintop mining sites. 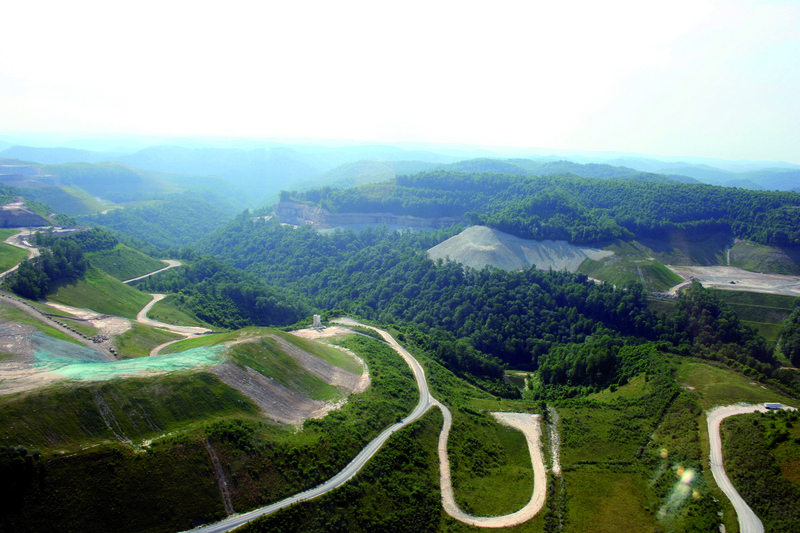 Perhaps most important, mountaintop mining has also created numerous sites for new schools, hospitals, shopping centers, parks, golf courses, housing, airports, industry, agriculture and timber – providing southern West Virginia valuable sites for sustainable economic development. Secondary extraction methods can also be employed with surface mining, usually through a process known as highwall mining. While surface mining includes a variety of methods, certain criteria used to determine the exact operation, layout and the extent and form of coal extraction are applicable to all forms of surface mining. Included in the criteria that are transferable to all forms of surface mining are mining and reclamation considerations. Before any permit is issued under SMCRA or a state delegated program, the operator must submit a specific mining and reclamation plan for review and approval by the regulatory authority. The components of the mining and reclamation plan include a variety of issues such as initial mine development, final mine design, backfilling and regrading, achieving Approximate Original Contour or “AOC” (explained in greater detail in subsequent sections) and erosion and sediment control. Reclamation considerations, along with stripping ratios (explained in subsequent paragraph), are usually the dominant factors that dictate the form of surface mining that is used to extract a coal reserve. PHASE 1 RESTORATION: Once mining is completed the land area is resculpted and restored to its approximate original contour. In addition to permitting considerations, determining the extent to which a coal seam or block of coal seams is economically feasible for mining is an integral part of determining the method of surface mining used to extract the reserve. The typical method of assessing surface mining economics for a coal seam is a calculation of overburden (native rock and soil above a coal seam) moved per clean ton of coal produced, commonly referred to as “mining ratio”. The higher the mining ratio (or more overburden moved per clean coal ton), the higher the cost of producing coal. In situations where a given coal reserve includes more than one coal seam, the recoverable coal volume from the multiple seams is factored together to lower the overall mining ratio for the entire coal reserve. Because mining more than one seam lowers the mining ratio for a mining project and increases its economic potential, it allows for extraction of coal seams that would be uneconomic to recover by themselves. The economic viability of a surface mining project, calculated through the mining ratio, is highly mine and coal reserve dependent. Site-specific factors such as overburden type and depth, excavation costs, coal value and overburden haulage distances and costs are all considered in the development of stripping ratios for a particular mine site and coal reserve. PHASE 2 RESTORATION: In the second phase, the site is seeded with grass to control runoff and erosion and prepared for tree planting. The ability to construct valley fills is paramount to the economic and physical viability of a surface mining project. As explained in more detail in the following sections, all surface mining methods need valley fills for placement of excess overburden. Without the ability to construct fills, surface mining becomes physically impossible in the steep terrain of Appalachia and West Virginia. Contour mining is practiced in areas where it is uneconomical to remove all the overburden from a coal seam or series of coal seams. In contour mining, surface mining machinery follows the contours of a coal seam or seams around a ridge excavating the overburden and recovering the coal seam or seams as a “contour bench” around the mountain is created. Excavation proceeds inward towards the mountain to a predetermined depth. Contour mining results in excavation areas or “contour cuts” that wrap around mountaintops or ridge lines parallel to the contour of a given mountain or ridge line. Contour cuts may be conducted on multiple seams on a ridge or mountain side, stepping upward in elevation much like a layer cake pattern. In multiple seam contour mining, the cuts for multiple seams extend deeper into the mountainside moving upwards towards the ridge top. 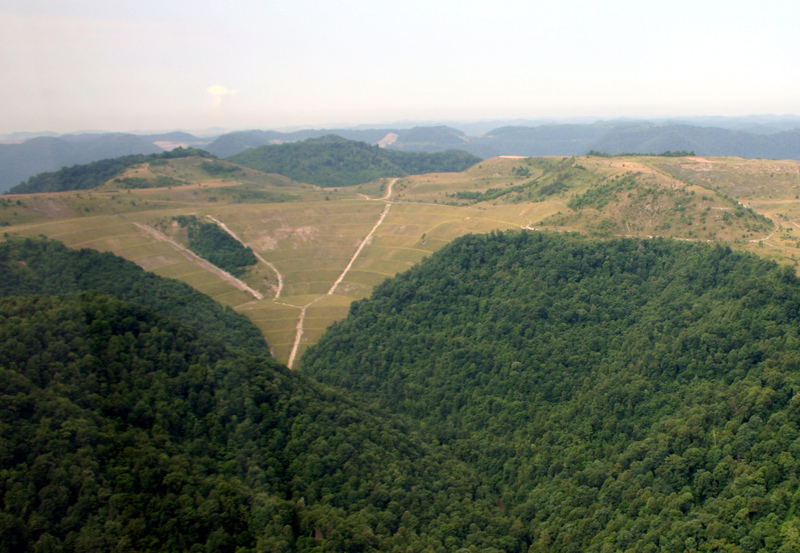 Mountaintop removal mining (MTR) is a special form of area mining where complete coal seams are recovered between a given ridge or mountaintop down to a “basal coal seam” or lowest elevation of coal extraction. The mining sequence for MTR is basically the same as area mining, although the operational areas are generally larger and reclamation leaves a flat or gently rolling terrain versus the AOC restoration of area mining. 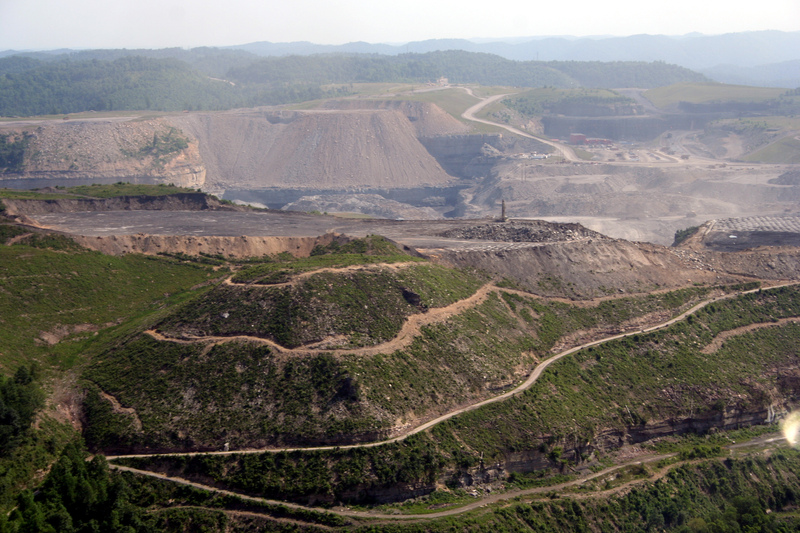 In the press and as used by anti-mining groups the term “mountaintop removal mining” is used more broadly than its SMCRA statutory definition to include all forms of surface mining in Appalachia and West Virginia. It is very important to note that for a mining site to be considered a MTR mining operation it MUST fit the narrow SMCRA definition of a surface mining operation that removes all of the coal seams in a given ridge and DOES NOT restore the mining area to AOC. MTR mining operations do not restore AOC as do contour and area mines. 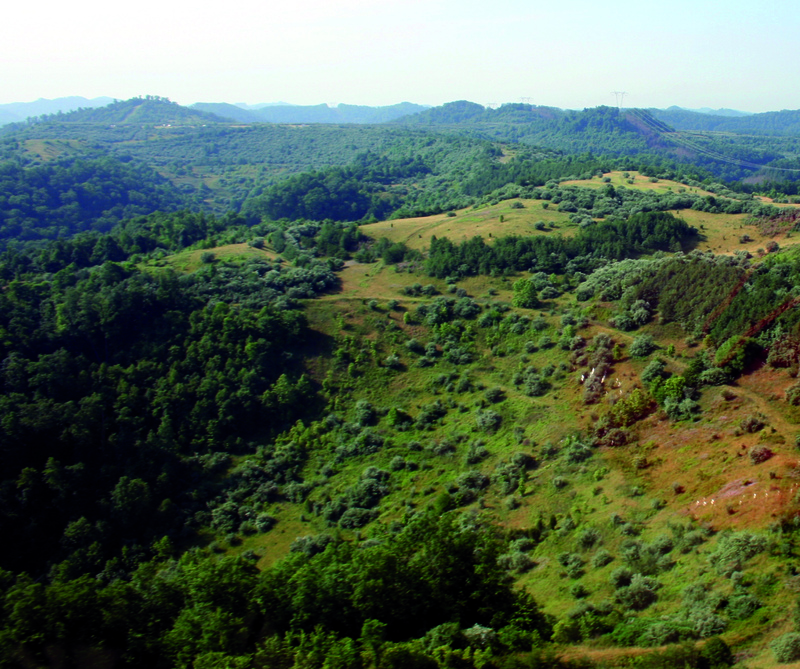 Reclaimed MTR mines generally have lower slopes and elevation than the original topography. The ability to obtain a variance from AOC restoration (and change an area mine to a MTR mine) is dependent on the intended post-mining land use (PMLU) of the former mining area. The PMLUs that will qualify a site for a variance from AOC restoration are enumerated in SMCRA and the corresponding state programs (more detail on these PMLUs is provided in the section on mining regulation). POST-RECLAMATION: When restoration is complete, this is our goal. 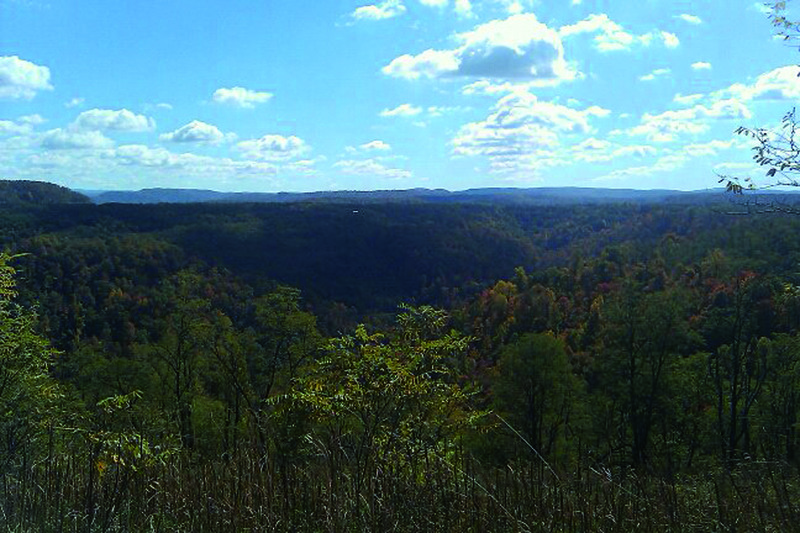 This is a former surface mine in Braxton County that is now home to a hunting preserve. Would you know this was formerly a surface mine? Do share some basics about some common mining machinery . Lies, lies, tell us more lies about how wonderful and beautiful moutaintop removal is! I’ve been to West Virginia and I’ve seen the ugliness and the devastation left behind! I know about people’s wells being contaminated, and I’ve seen how the coal companies reneged on their promise to restore an area of mountaintop removal. How much did the coal companies pay you to write this codswallop? Coal is the filthiest form of energy and we need to wean ourselves off it. You say you have “been to West Virginia.” That’s great. We actually live here. We were born and raised here as were most of our coal miners. We know what see and we know what we do. How long were you on a mine site? Was it a current operation? Was it an AML site? A “pre-law” site from the early days of mining? Do you know? As for wells being contaminated … my grandmother’s well water was a red as blood and full of grimy minerals. It smelled like sulfur. But guess what… there had NEVER been a mine any where near her house. Rather than be antagonistic and angry, why not come back down here and let us give you a tour?